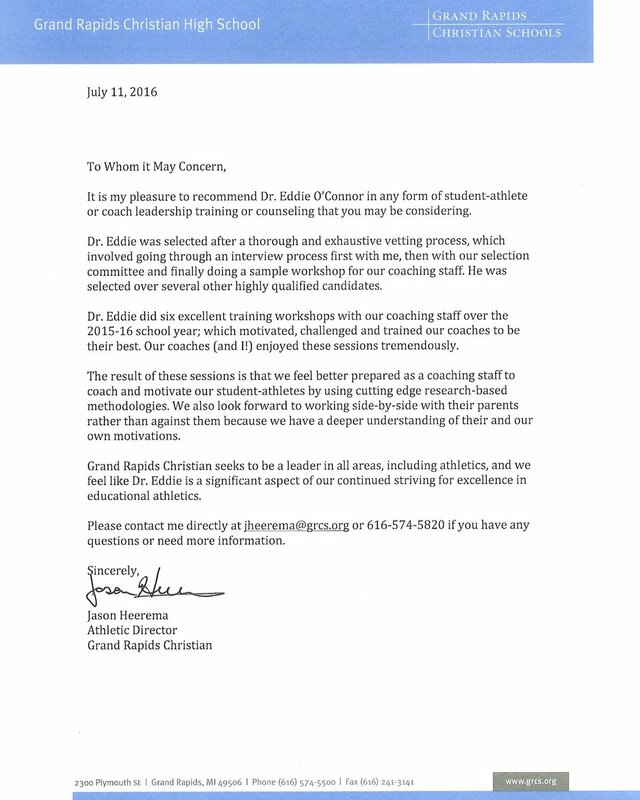 Dr. Eddie is a significant aspect of our continued striving for excellence in educational athletics. The results were terrific! 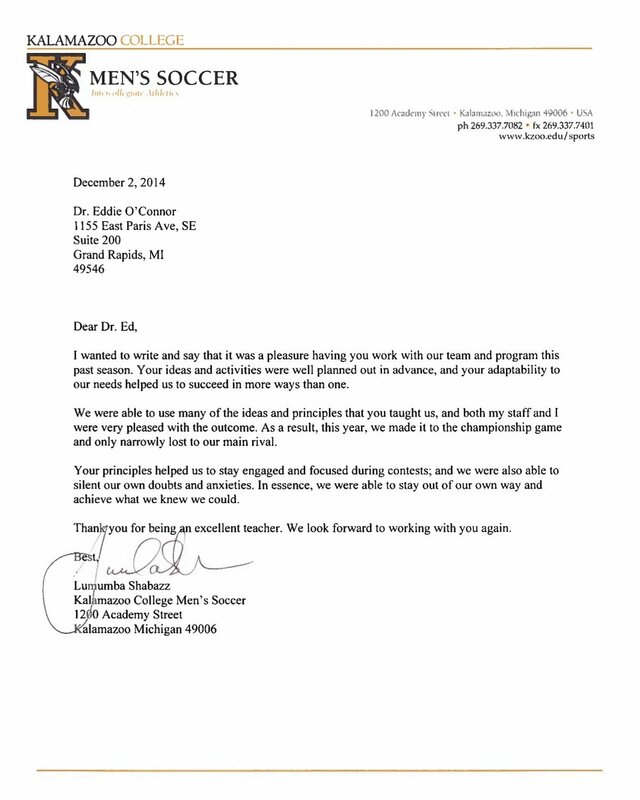 Our players found Dr. O’Connor’s instruction very practical and easy to apply. 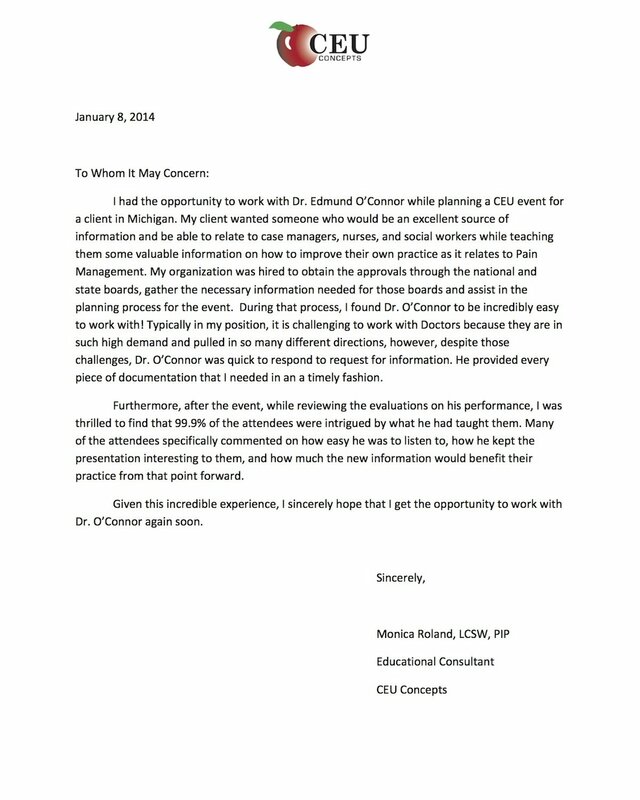 Moreover, our coaches learned lessons that allowed them to reinforce what Dr. O’Connor taught. We were able to use many of the ideas and principles that you taught us, and both my staff and I were very pleased with the outcome. Dr. Eddie’s presentation was interactive, insightful, and good information for our parents to hear and digest. 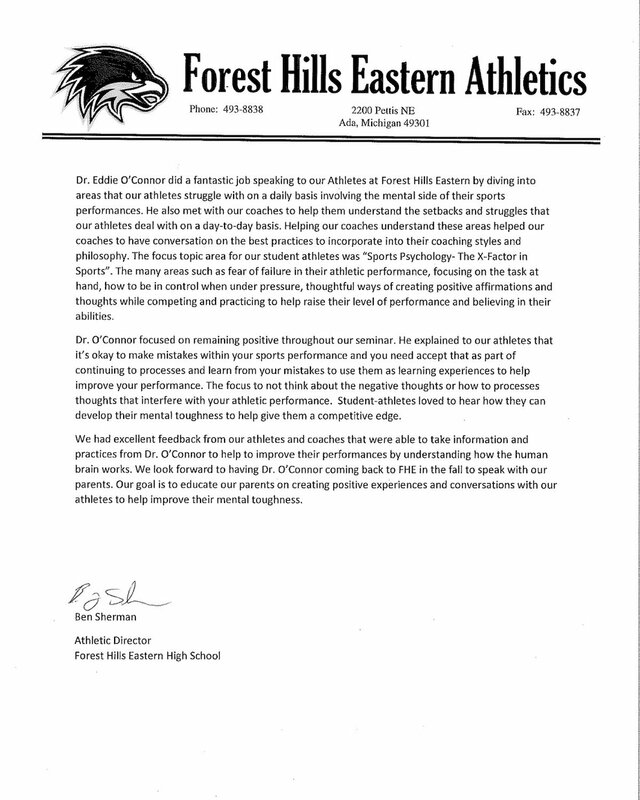 We had excellent feedback from our athletes and coaches that were able to take information and practices from Dr. O’Connor to help improve their performance. 99.9% of the attendees were intrigued by what he had taught them. 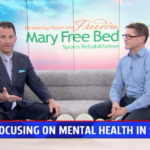 Many attendees specifically commented on how easy he was to listen to, how he kept the presentation interesting to them, and how much the new information would benefit their practice from that point forward. The feedback was amazing! (Dr. Eddie) is a dynamic speaker who is passionate about this topic. He balanced personal antidotes with the information and kept the class constantly engaged. 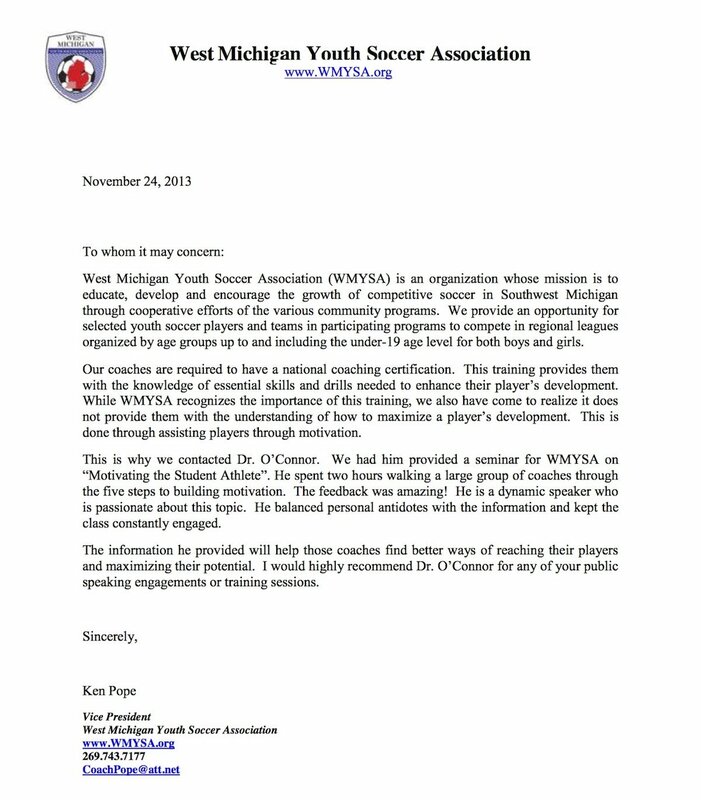 Ken Pope - Vice President - West Michigan Youth Soccer Assn. Dr. O’Connor provided excellent and detailed information regarding chronic pain. 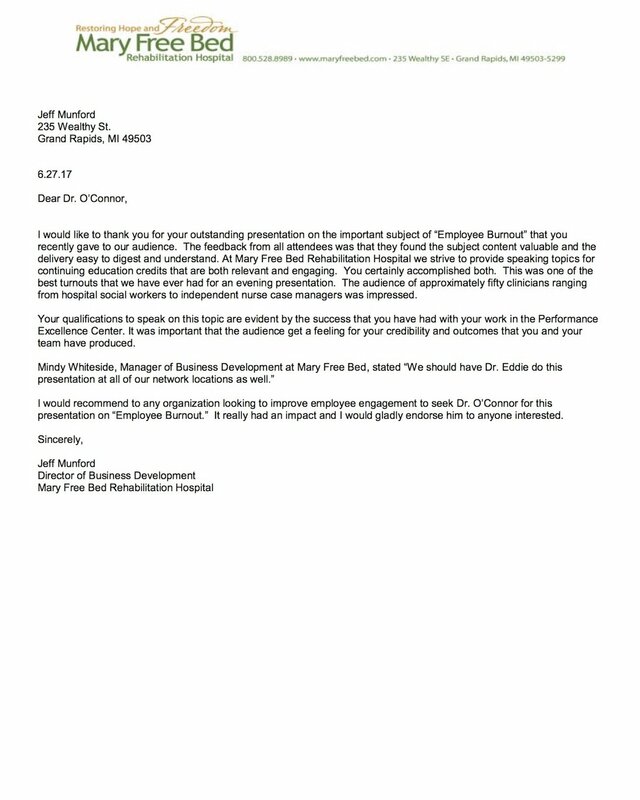 We received a great response … I look forward to more opportunities in the future. I work with the finest professors and content experts over a wide range of academic and professional disciplines. Dr. Eddie is one of the very best. He is a hard-working and accomplished professional, a caring and supportive coach, and a charming, upbeat, and enthusiastic presenter. 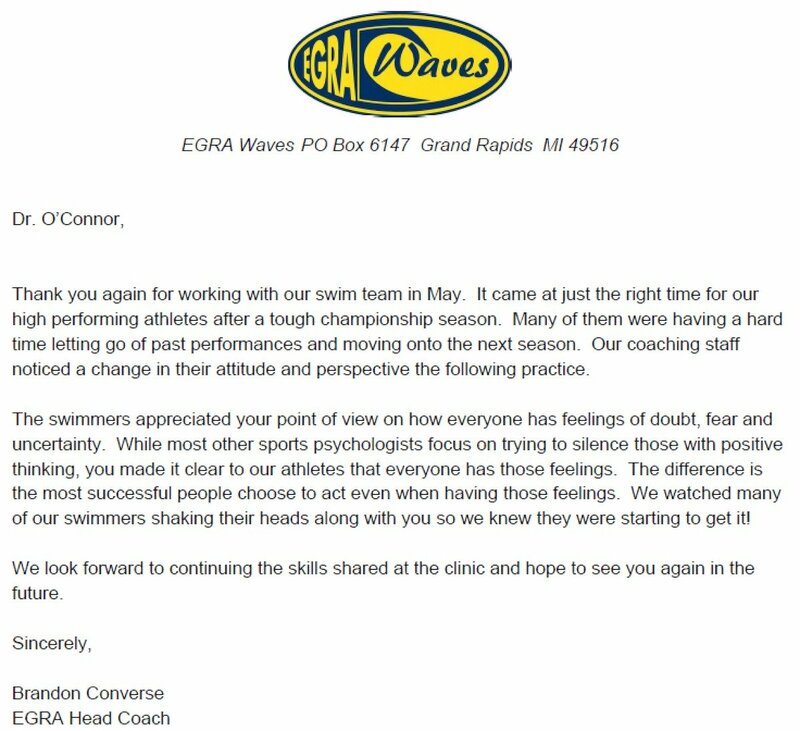 The swimmers appreciated your point of view on how everyone has feelings of doubt, fear, and uncertainty. 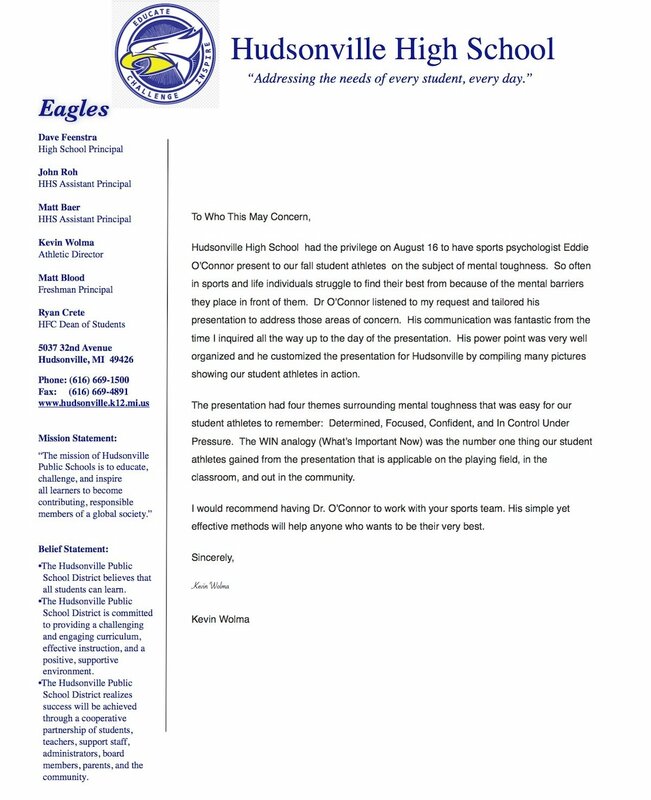 While most other sports psychologists focus on trying to silence those with positive thinking, you made it clear to our athletes that everyone has those feelings. Our coaching staff noticed a change in their attitude and perspective the following practice. 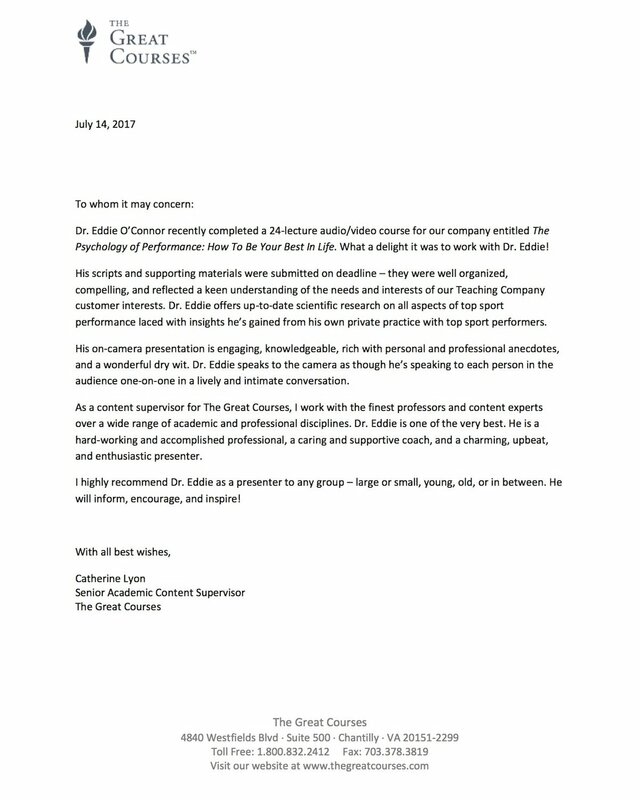 Thank you for your outstanding presentation on the important subject of “Employee Burnout”. The feedback from all attendees was that they found the subject content valuable and the delivery easy to digest and understand.